Survey island residents to assess which health services they currently need or may need in the years ahead. 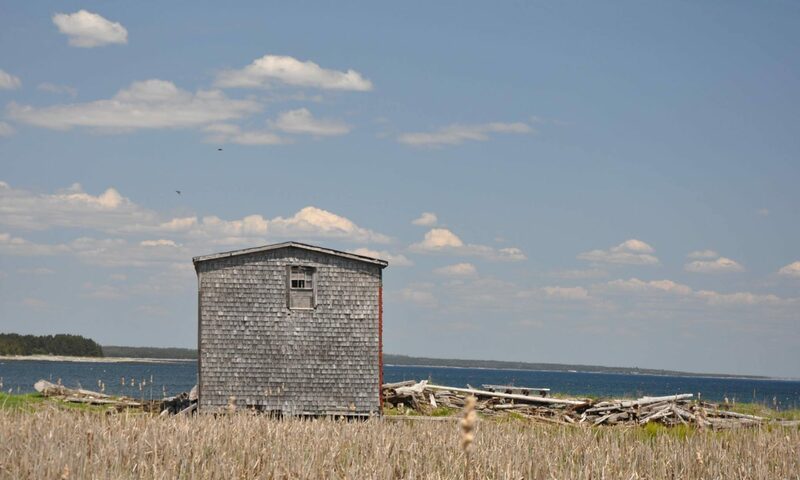 Conduct thorough research to determine which health service providers are willing to come to Tancook Island. Create a print resource to be made available to all island residents documenting who to contact for specific health services based on the research results. Great News! I do have a few questions. Who is the WE? Research will be done, resources will be contacted and verified, a resouce booklet will be made and volunteers will be established, all great news. Will a position be created for someone or a group to do this work? Will this be a paid positon assuming that is what the grant is for? If so, will this position be advertised with qualifications required? If not, who is going to do this work and who made that decision to hire this person? This process originally started with the passing of Stanley (Sam) Rodenhiser and what many felt was a lack support and resources available to the island but that were available to the rest of the province. Considering that these resources are taxpayer funded this seemed unfair. The original meeting was organized by a friend of the family on their behest. People were invited to an open meeting based on their potential need to access palliative care and other long term medical services, their personal experiences with caring for loved ones at home, or as in my case as the MFR co-ordinator. We all discussed our experiences and concerns surrounding the implications of looking after our loved ones at home and what could be done to bring those services available on the mainland to the island, in light that they had been provided before. The original organiser of the meeting felt that as they were not a full time resident of the island it would be better if the work of looking into solutions was carried out by full time residents. This was agreed to. Research was done and it was discovered that there is a wealth of services available to Nova Scotians. Through phone calls and correspondence it was quickly determined that Palliative Care, VON and other services would come out to the island. Each organization had its own requirements and protocols in place that we would have to meet. The main stumbling block was the requirement that any vehicle that was to be used to transport the visiting health workers had to be inspected, licensed and insured. The consensus seemed to be that the only vehicle that met the criteria was Tancook 4 (Expedition). BTIERA was approached about the use of this vehicle for the purpose of providing transportation to visiting health workers, after due consideration permission was granted by the organization. The possibility of a grant was seen by Hetty; one of the requirements was that it had to come from a registered charitable organization. Once again BTIERA was approached about the grant being submitted under their name and it was approved. We recently heard that we had received the grant in the amount $6000.00. There is a list of requirements and guidelines that need to be fulfilled with the grant. I will try and answer your questions as best I can. I assume the WE was the community; it could also mean BTIERA and the people working on this project. Yes a position will be created for a Census Taker. Yes it will be a paid position. No I don’t think it will be advertised, by that I mean media. I am hoping that a resident can fulfill the position. Main requirements are someone who is trusted and who locals are comfortable sharing information with. Remember we are mainly talking about an older population and some personal info. Nobody has been appointed or hired yet. The steering group is looking to hold a public meeting in June to share the goals of the project and to get feedback from the community. This will include any possibilities or ideas that have not been identified. This is an ongoing process; there are some limitations on our scope as per the grant guidelines. The guidelines, budget (which had to be submitted for the grant) and any other info will be shared at the meeting. The date and time of the public meeting will be posted on this website and by any other means that are deemed appropriate. I hope this answers your questions and any allays any concerns you may have. Thanks Peter; You have done a great job of answering my questions. I greatly appreciate your transparency and I applaude you! Thanks again! Dave, I am in agreement with all of your questions/comments. How much is the allocated grant. Does this study inc lude lost services for healthy living people, which most of us are, not just palliative care. Is there a chosen person leading this study. Many things are happening on this island with no consultation or knowledge to the residents, there should be a publick meeting by all the different association that people could attend and learn what is on the go for the islanders. Opportunities to submit funding applications come along now and then. This funding opportunity offered by the NS Department of Seniors through their Age-friendly Community Grants program was brought to the attention of the BTIERA Board of Directors who agreed that it would be worthwhile to submit an application. Since I have had quite a bit of success in writing successful funding applications in the past I volunteered to help with the writing of the application. Now that it has been approved, it is entirely up to the BTIERA Board of Directors to manage this $6000 project in accordance with the strict requirements of the funding Ministry. The grant will be paid to BTIERA as only registered charitable organizations could apply. Fran, you will be happy to hear that holding community meetings are part of the project plan. The Island is very lucky to have someone here who knows the in’s and out’s of writing successful applications for grants. Thanks and keep it up! A big CONGRATULATIONS on your success, to all “BTIERA members,” on receiving the “Age-friendly Communities Grant” through the Nova Scotia Department of Seniors! The island community spirit that keeps on giving! Good luck to everyone involved with BTIERA on achieving your four very important goals in the coming future! Best wishes from a very proud ‘former’ island resident! Thank you Belinda. It is good to receive positive feedback. Hetty, you are so very welcome! I think it is just so wonderful to see folks taking on these initiatives; and to be willing to put in all the ‘grunt’ work it takes to do the research before the applications can even be completed. Applying for these and other types of grants don’t just happen overnight, keep up the great work everyone! Sending along prayers and support to all those involved.